Samsung's latest monolith of a phablet has officially been unveiled, and we've now got the lowdown on what makes the Samsung Galaxy Note 9 special. For instance, we know it features a record-breaking display, and is quite capable of replacing the average user's home PC. 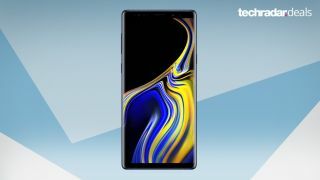 The Note 9 has been announced in three different colours – Ocean Blue, Metallic Copper and Midnight Black – as well as two configurations, one with 128GB of onboard storage and 6GB of RAM for $1,499, and the other with an unprecedented 512GB of storage and 8GB of RAM for $1,799. For more in-depth thoughts, check out our Samsung Galaxy Note 9 hands-on review. Given the $1,499 starting price of this monolithic handset, there's a good chance you'll want to soften that blow with a 24-month contract. Although the plans are still fairly steep, some come with some excellent bonus offers and other neat ways to reduce the wallet-damage. As you may be able to tell, Optus is crushing it on the Note 9 deals at the moment. This isn't all that surprising though, as the carrier has tended to favour Samsung's flagships with its deals in the past as well, while Telstra is a bit more of an Apple fan.